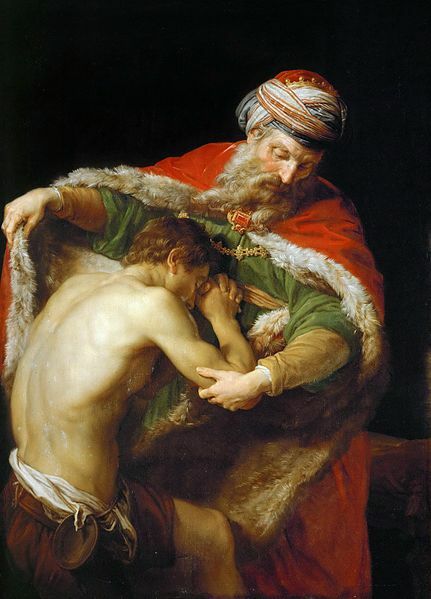 “In the ancient Near East, the children’s job description was to enhance the reputation – the glory – of the father. The father cared for the children and blessed them so that they could continue the family line. The children honored the father by obeying him. Clearly, this child was not a dutiful son. To make matters worse, the father was a prominent person who lived in a culture where everyone was watching. The actions of the son would and did bring great shame. Who could have predicted that the father, on hearing the news that his son might be returning, would run to meet him? Important people don’t run anywhere. That’s the job of servants. If an important person ran toward anyone, it would be undignified and, in this case, compound his shame. The father, however, threw reputation to the wind. He wasn’t interested in meeting his son halfway, even though that would have been embarrassment enough to a normal father. In his delight, he ran and embraced his bedraggled son and kissed him. Do you see God this way? Can you picture him running to you, not caring how it looks or what it costs him? Because that’s his heart for you. Don’t let shame or a false view of God keep you from coming back when you stray. He is waiting with a heart of love, not anger.